It sure ain't Ben & Jerry's, but it's not the worst ice cream I've ever had either. 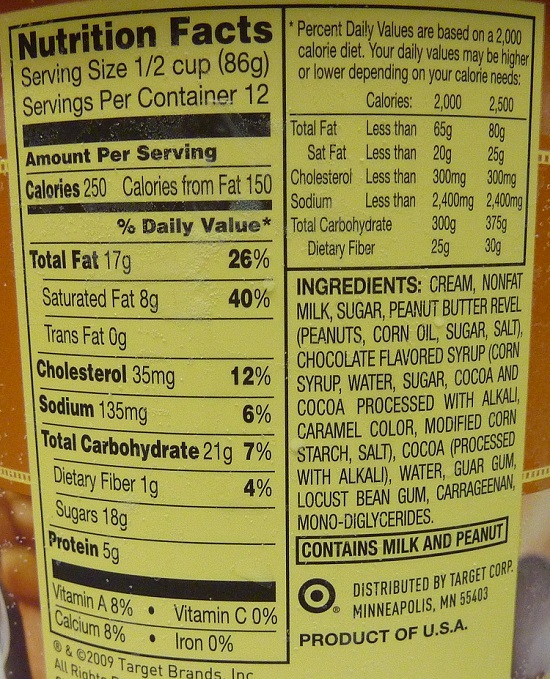 Then again, it's pretty hard to put peanut butter and chocolate together and make something that isn't tasty. The peanut butter itself tastes great. It...well...tastes like peanut butter, but frozen. There are ribbons of it throughout the chocolate ice cream, and there's plenty of it. Its consistency is a little stiff. Its a little plastic-ish. But not to the point that you'll want to stop eating it. The chocolate ice cream tastes a little cheap to me. Like regular store brand chocolate. I've never been one for the plain chocolate or plain vanilla. They're both boring, and they need other ingredients to reach their full potential. 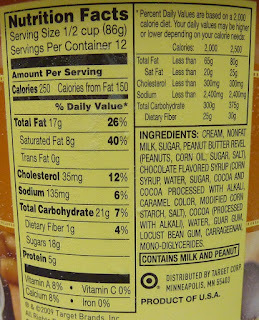 I'm not sure that even with the ribbons of peanut butter that this so-called "fudge" reaches its full potential either. 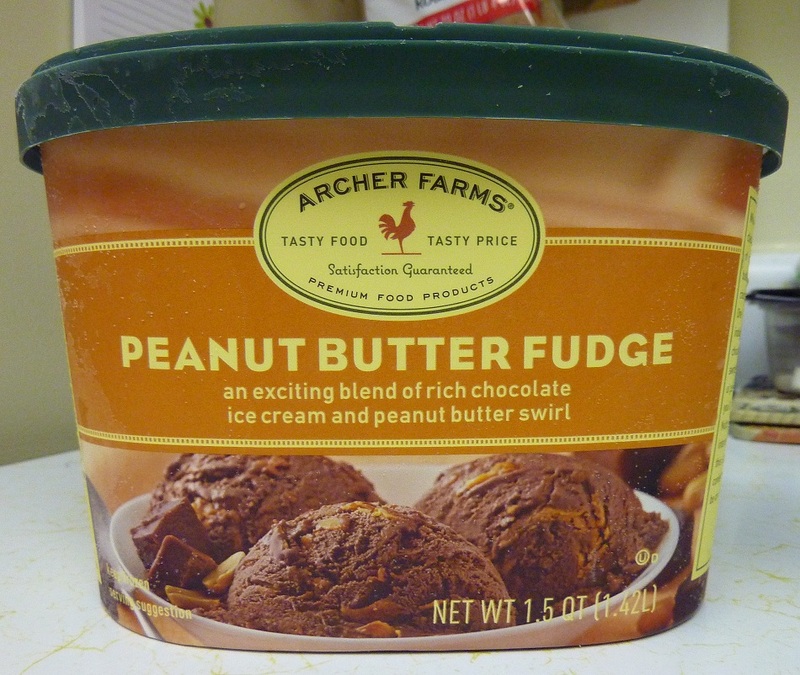 For $4, with copious quantities of saturated fat and calories, I would certainly consider investing in more of a gourmet brand of ice cream if I were going to indulge in a chocolate peanut butter dessert. It might cost a buck or two more, but if you're gonna go off your diet, go off your diet. Although it was no difficult task for my wife and I to polish off this half gallon of dessert, I don't think this flavor will find its way into our basket at Target again any time soon—and ice cream is one of my biggest weaknesses. 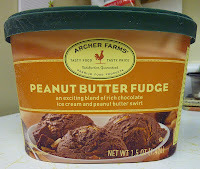 But if you're a peanut butter fudge kind of guy (or gal) this flavor might be right up your alley. It wasn't a product I would recommend, but I also wouldn't warn someone against it either. I give this ice cream 6 out of 10 stars.